We will be talking fashion from a Cameroon perspective soon on Fashion Business Africa, a portal delivering an informed, analytical and opinionated information about how fashion business is done in Africa. The strategies, logistics, personnel, major moves and nitty gritty that take an idea from its conception to the catwalk, showroom or store. FBA: What does a PR firm in Douala look like? 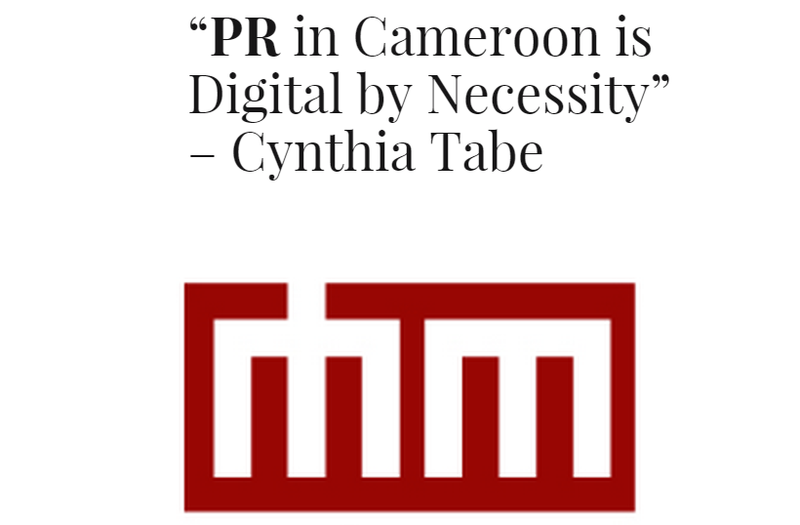 CT: ModeMaison PR is a full service PR firm in Cameroon. We handle PR for fashion brands, lifestyle, beauty, movies and music brands. Public relations is so new in Cameroon and this is due to the largely Francophone side. I believe that understanding the concept of PR is really an Anglophone thing. The English people grasp it a lot easier than the French. PR is a battle, although things have changed since I started the agency. The fashion, music and film brands are paying more attention to the public image than they used to. A lot of brands are now going online to improve their brand presence, contacting bloggers and using radio stations to promote their stuff. Just in time for the start of a very fashionable 2015 and for our very first fashion related post, the ELLE fashion belles in South Africa have been hard at work to bring us the inside scoop on the 12 hottest trends to keep our eyes on at the shops this year. From fringing to the love-it-or-loathe-it gladiator sandal, these are apparently the fashion must-haves we can’t be without this year. Let’s go!! Whether it’s the frayed edges of a shirt or a fringed tasseled bag it’s a great way to add measure without taking it overboard. Thick belts are a must for spring this season. You could tie anything together with this look. The bucket bag is an essential silhouette this season. A must have for Spring 2015 is the vertical drop pendant. From the Art deco movement to Pichulik’s African inspired embellishments the options are endless. The crop top is here to stay, with a major direction in both knit and woven tops this season. The number one outerwear item for Spring 2015 is the bomber jacket. Focusing on a variety of contrasting fabrics and silhouettes. Fall brought upon the plaids, but for Spring it’s all about the gingham check. With a display of riffs on the classic army inspired jacket, military is a must have for Spring 2015. It’s all about the 90 degree shoulders this season, nothing better to cool off your upper half in the heat. Comfortable shoes are here to stay with more diversity, from sneakers to minimal two-strap sandals, there’s something unique for everyone. Gladiator sandals are a must-have for summer this season. Trending in various styles from minimalistic ankle gladiator sandals to fringed knee-high sandals they are transitional, perfect for almost any occasion. Fringed bikinis and high-waisted bottoms are so last season, athletic inspired crop top bikinis are the new styles for Spring 2015. What is your favourite trend this 2015? Tell us by leaving a comment below.